Producing a full-length feature film, based on a script he wrote, will keep Sean Lynch busy this summer. Lynch is the Film and Video Production equipment coordinator on campus. The film is about identical twins, one of whom is a psychiatrist and the other a mental patient. “Their identities get swapped in a hospital where the mental patient is now on the outside and the doctor is now trapped inside trying to figure out how to get out,” Lynch said. “It’s like a zany ’80s comedy,” said OCCC nursing major Andrea Acuna. The script for the film took Lynch and fellow writer Lance McDaniel over a year to complete. The film is in pre-production, and Lynch is working hard to get the $1 million needed to fund the film, he said. Lynch said 40 different investors are pitching in $25,000 apiece to come up with the money needed to fund the film. Shooting for the film is expected to commence June 30. “Shooting will last five weeks,” he said. He said most of the filming will be done in Oklahoma City and Guthrie at the Masonic Temple. “The project will offer lots of paid intern positions for students as production assistants,” Lynch said. 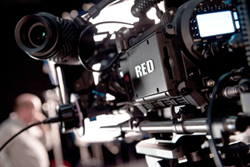 The producers also will offer positions as grips, electric, make-up, and hair. OCCC students are being sought to fill these paid intern positions. This will be the largest film that executive producer Lynch, director McDaniel, and photography director Dave Green have worked on. The trio’s previous film, “Unsolved,” was about a group of college students who uncover the truth about a campus murder that happened 15 years earlier. It was released in 2009. For more information about intern positions, email Lynch at sean.m.lynch@email.occc.edu. To contact Damien Lodes, email onlineeditor@occc.edu.